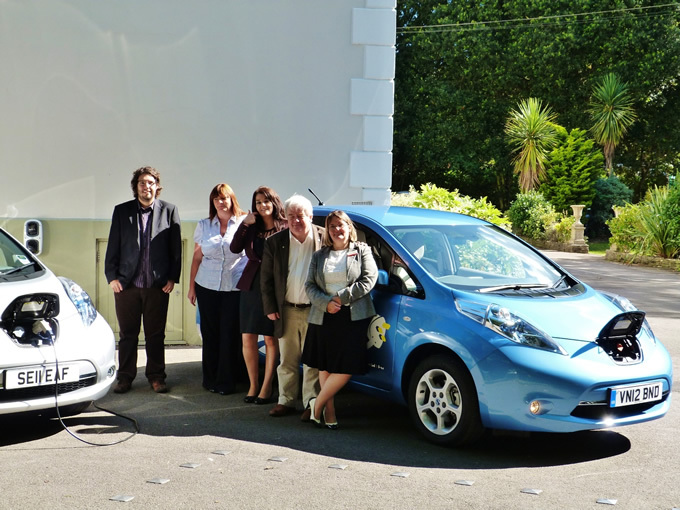 We are very excited to hear that yesterday, The Green House hotel in Bournemouth unveiled their new Electric Vehicle charging points. The award winning Green House is a beautiful eco-friendly boutique hotel in the heart of Bournemouth that lives, eat and breathes sustainability. In 2011 it was listed in the Guardian’s Green Travel List 2011 and it has just received a gold accreditation from the Green Business Tourism Scheme. Extensive thought and painstaking research has gone into every aspect to ensure that this designer hotel minimises its impact on the environment at every turn. Interior highlights include 100% UK wool fabrics, woven on the isle of Bute, British designed and made wallpaper, FSC certified, printed with vegetable ink, solid hard wood furniture, either recycled or hand crafted in the UK from fallen trees damaged through storms or disease. Solar thermal energy, complemented by electricity generated on site, ensure that public resource is only used where absolutely necessary. All of this without compromise to guest satisfaction and pleasure, and this is just the tip of the iceberg. Now it has just increased its green credentials by the activation of their two Electric Vehicle (EV) Charging Stations, donated by Zero Carbon World. Olivia O’Sullivan General Manager for the hotel said “As the greenest hotel in the UK we are always looking for ways in which to add to our green credentials. As we already generate our own electricity onsite, what better way than with EV charging points, so our guest’s can charge their Electric cars”. 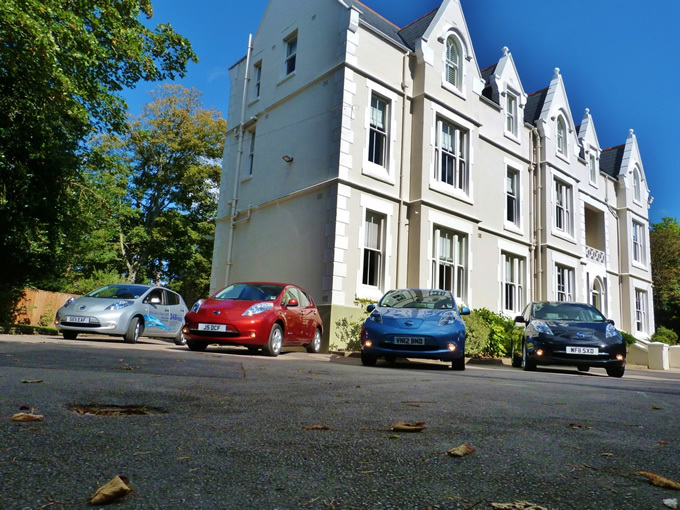 Zero Carbon World donates Charging Stations to the hotel and leisure industry to support the development of a national charging infrastructure and encourage the adoption of electric vehicles. “There are no restrictions to use Zero:Net,” said Kevin Sharpe Founder of Zero Carbon World and Chair of the Trustees. “You don’t have to be a member, subscribe, pay in advance or use a smart card to access electricity. Wherever EV drivers are, they can recharge while eating, sleeping, working or simply relaxing. We are extremely proud to be creating the UK’s only Open Charging Station Network”. Growing rapidly with over226 donations to date, ZCW is on track to install 1000 Charging Stations in the UK. “This charging point will allow guests to stay in a gorgeous eco friendly green hotel and charge their eco friendly electric car whilst staying in one of 32 superb guest rooms, this is ecotourism at its very best”. Olivia told Dorset Energized “Everyone was so excited with lots of great stories. These Nissan LEAF cars are amazing, they are so quiet and really fast and better still 100% tax deductable!”. All guests who dine or stay at The Green House get to charge their electric vehicles for free so you don’t have to be a member of anywhere to use it. For more information on The Green House eco-friendly hotel visit: www.thegreenhousehotel.co.uk.